Fairfax County Police have charged two adults and two youths in connection with back-to-back vandalism cases at South Lakes and Herndon High Schools in early June. 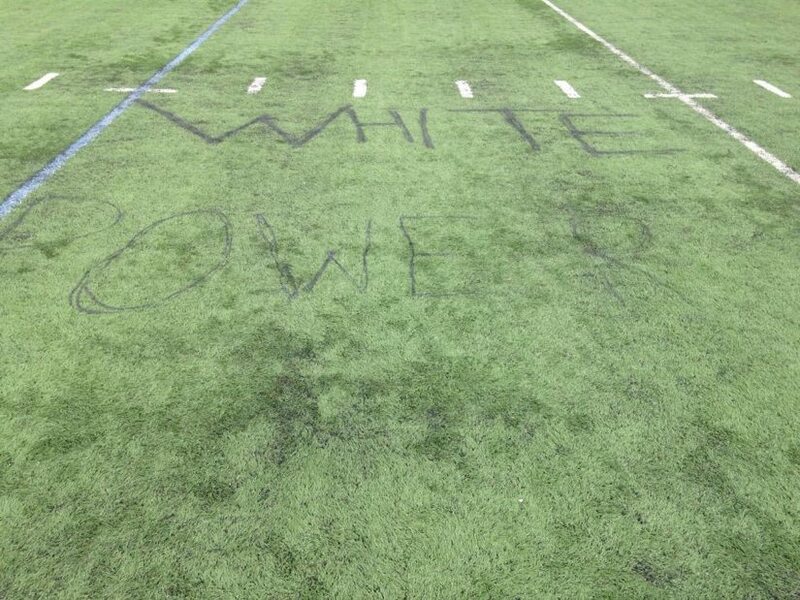 Ryan Jeffrey Wait, 18, Reston and a 17-year-old male from the Reston area have been charged with one count of defacing public property, a misdemeanor, for the vandalism at Herndon High School. Two males are charged in the South Lakes High School vandalism, Crimesolvers said. A warrant is outstanding for an 18-year-old Reston-area man who is out of the area for the summer. A 17-year-old male from the Herndon area was also charged with one count of defacing public property. The first incident occurred at Herndon High School early on June 1. The incident at SLHS occurred between 11 p.m. on Saturday, June 6, and 1:50 p.m. on Sunday, June 7, police said. 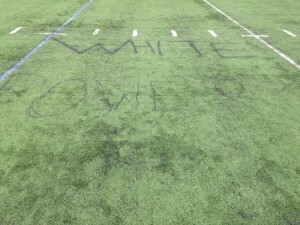 In both cases, athletic turf fields and other outdoor property were defaced with racial, sexual and other epithets and images. Police said more than $6,000 in damage was caused to both fields. Crimesolvers had offered a reward for information leading to an arrest. Crimesolvers said Tuesday that the charges did not come from Crimesolvers tips, however.